White House senior adviser Jared Kushner will travel to several Middle Eastern capitals in late February for talks on the Trump administration's upcoming Israeli-Palestinian peace proposal, U.S. officials told me. Why it matters: The Trump administration is expected to release the long awaited peace plan after the April 9th elections in Israel. Until then, it is trying to mobilize support for the plan, especially in the Arab world, and build a public diplomacy strategy with allies. Details: Kushner is expected to visit Saudi Arabia, UAE, Oman, Bahrain, Qatar and possibly Morocco. He is not expected to visit Israel on this trip, but will likely meet Prime Minister Netanyahu next week during a Middle East conference in Warsaw, where he is expected to speak publicly about the status of the plan. 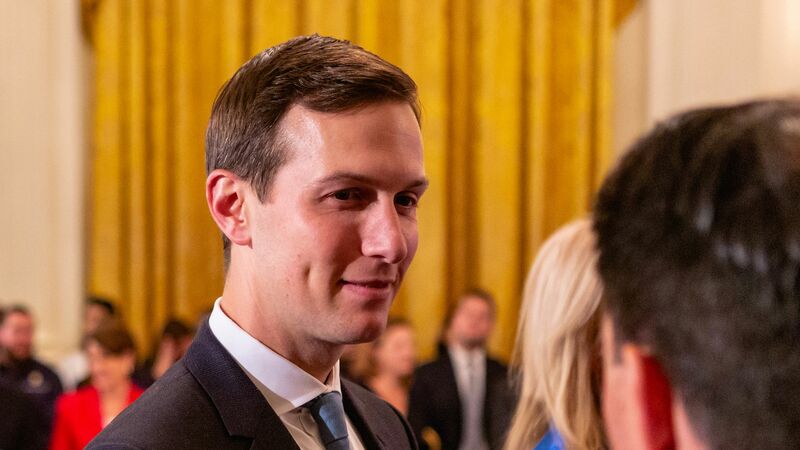 On his trip to the Middle East, Kushner is expected to discuss with Arab officials the economic parts of the peace plan, which will entail huge investment in the Palestinian economy — mainly in Gaza. U.S. officials say Kushner will ask the Gulf states to contribute to the economic plan, but that he is not planning to discuss details from the political components of the plan during his tour of the region.